The big day came and has now went. Agent M is now in bed and I'm able to sit and breathe in the knowledge that today was a success and seeing the smile on his face makes the stress and irritation worth it. It started at half seven this morning when we heard Agent M get up for the loo. I was completely expecting him to come running through but bless him, he went back to bed cause he thought we were still asleep. We came down stairs and the first thing he done was went to the plate to see what was missing. He got so excited to see the carrot had a chunk out of it and that the milk and Oreo's were gone. 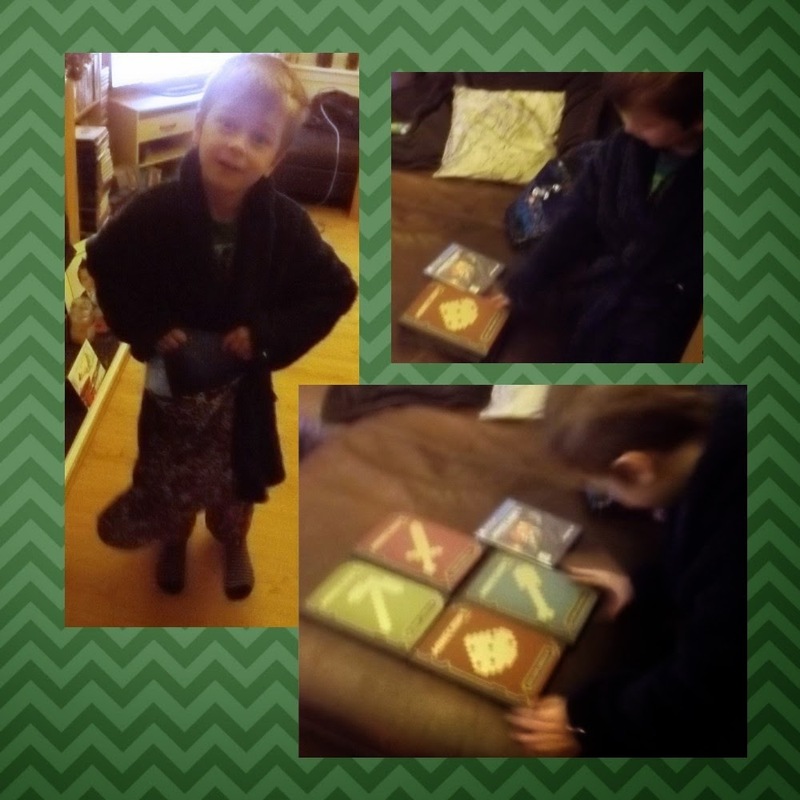 Santa was very sneaky though and hid his prezzies in his stocking. 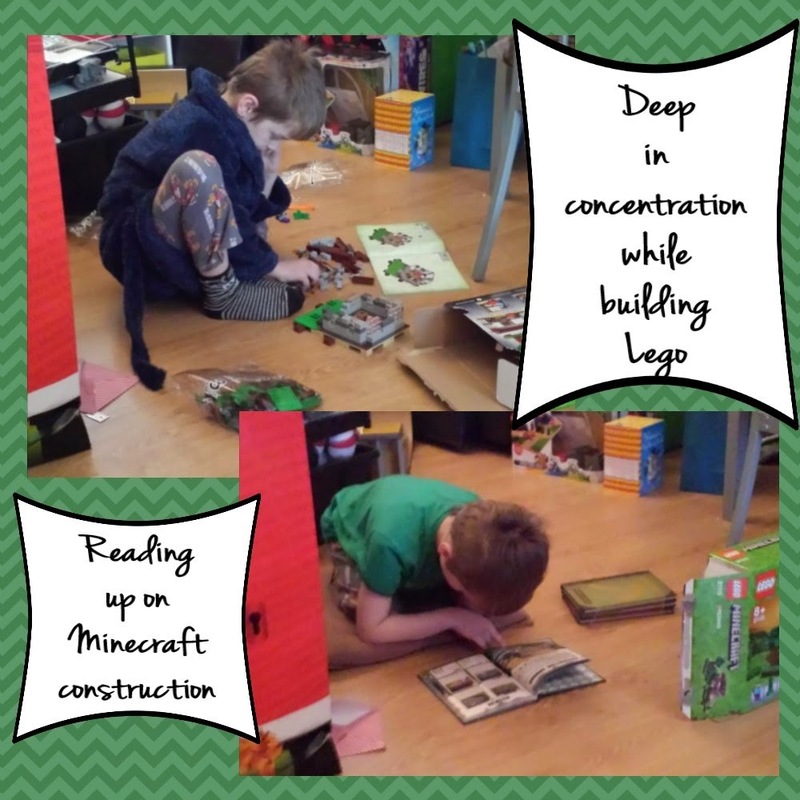 Mama was really happy when he was thrilled to bits about them and the sicky feeling inside that was worried he would have preferred the Minecraft Creation box melted away. 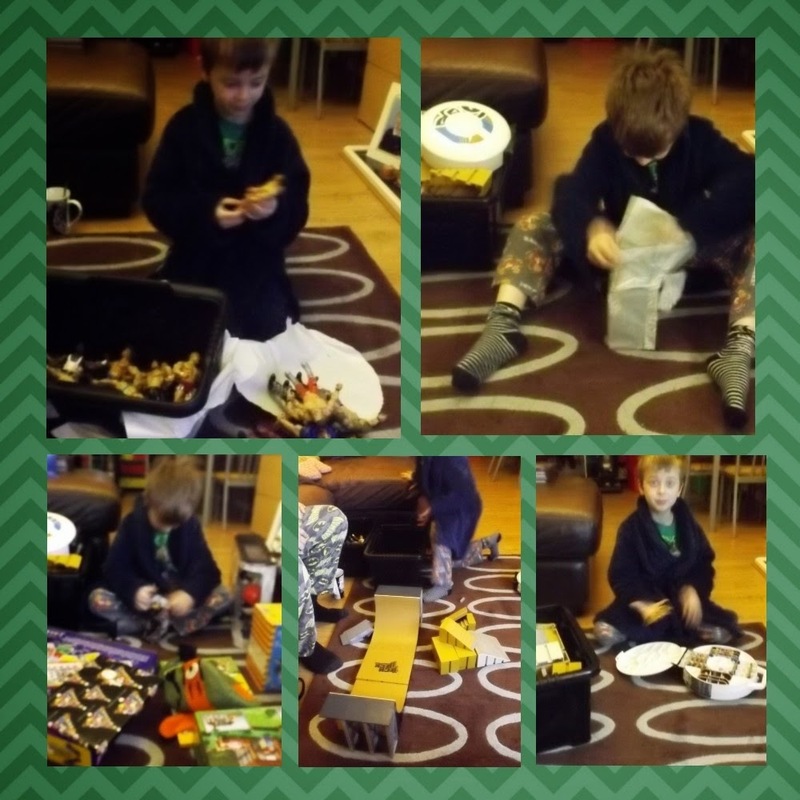 He opened his other prezzies which consisted of Tech Decks, WWE figures and a Wrestling Ring, Some books, Pokemon figures, some Brawling Buddies and new shoes. He was really lucky and got an electronics set from his Auntie and Uncle and some Lego and a dart board from his Granny. I was really lucky this year too ... 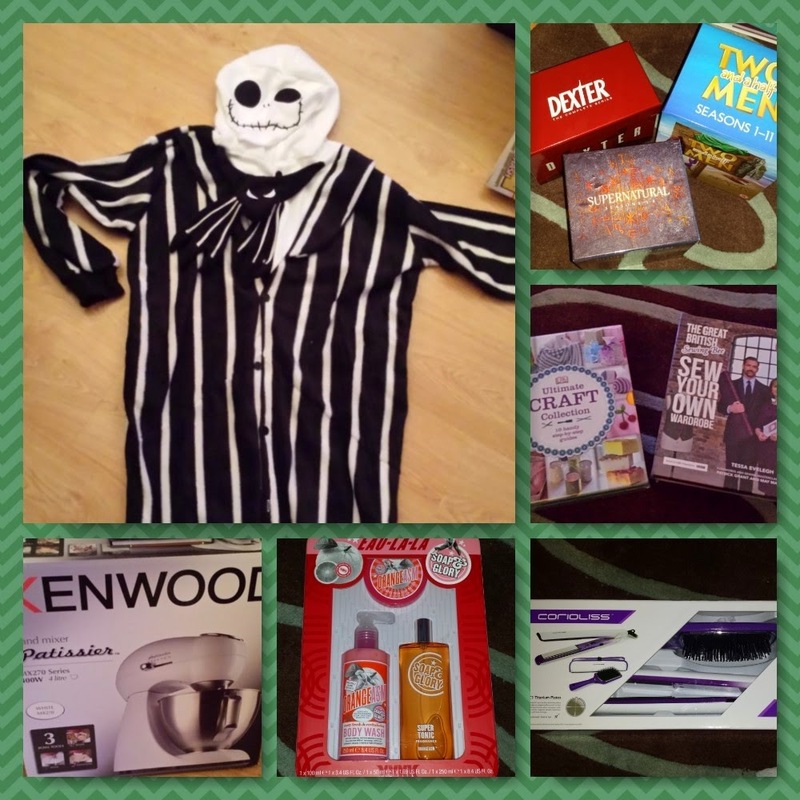 I got lots of prezzies Inc Photo shop for my Laptop which i forgot to photograph (ironic that) lol. While Agent D was waiting for his PS4 to update (Santa really must love him to get him that!) 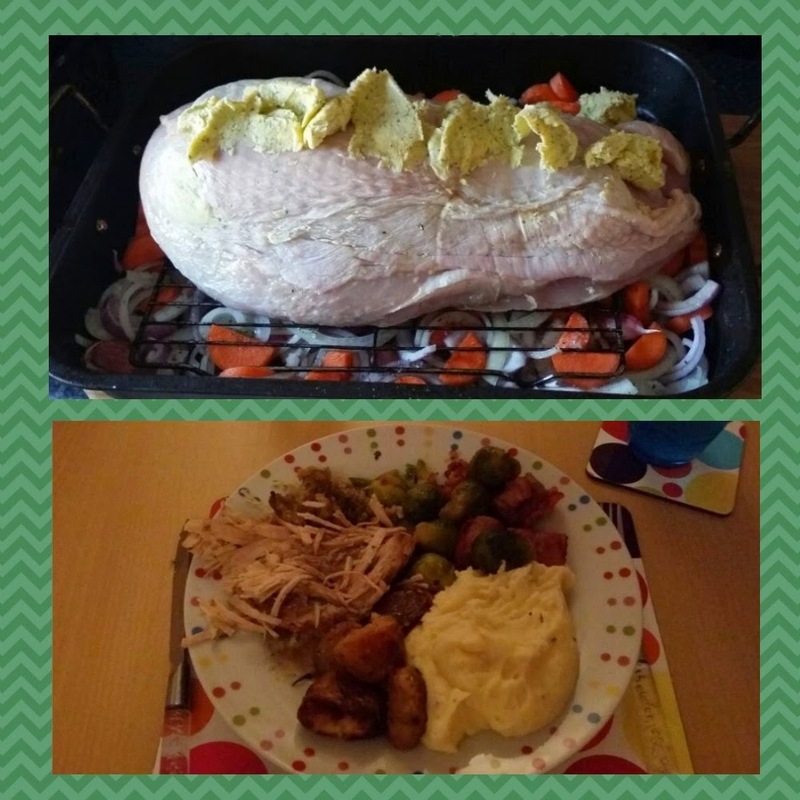 we got started on the Christmas dinner. Both Agents had a blast as did i so that's what matters. I'm now headed up to bed to watch Dexter on my Laptop before i drift off into some much needed slumber.